Alienation and Freedom is finally translated in English! Since the publication of The Wretched of the Earth in 1961, Frantz Fanon's work has been deeply significant for generations of intellectuals and activists from the 1960s to the present day, all over the world. Frantz Fanon (1925-1961) was a Martinique-born psychiatrist, philosopher, revolutionary, and writer. He was the author of classic works such as Black Skin, White Masks (1952) and The Wretched of the Earth (1961). He was one of the most significant anti-colonialist, anti-imperialist and anti-racist thinkers of the 20th Century. This new book, assembled by Jean Khalfa and Robert Young, collects together previously unpublished works comprising around half of his entire output - which were previously thought to be lost or inaccessible. This book introduces audiences to a new Fanon, a more personal Fanon and one whose literary and psychiatric works, in particular, take centre stage. 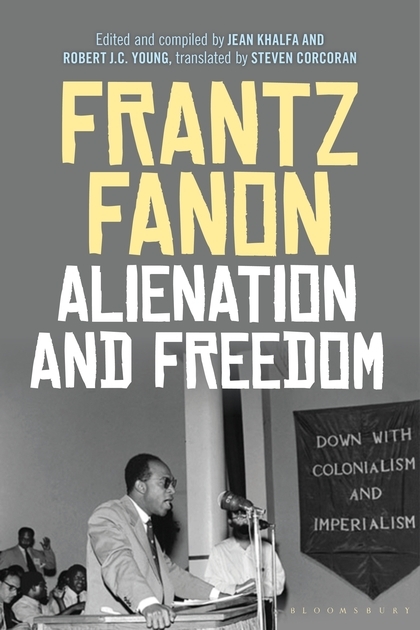 These writings provide new depth and complexity to our understanding of Fanon's entire oeuvre revealing more of his powerful thinking about identity, race and activism which remain remarkably prescient. Shedding new light on the work of a major 20th-century philosopher, this disruptive and moving work will shape how we look at the world. Jean Khalfa is a Senior Lecturer in French Studies at Trinity College Cambridge, UK. He is the editor of the first complete edition of Michel Foucault's History of Madness (2006) and author of Poetics of the Antilles (2016) and an upcoming work on Frantz Fanon's The Wretched of the Earth.